Our case management systems can be customised to meet the unique needs of your legal business. Over the years, our software solutions have been adapted to respond to the requirements of niche law firms and newly-established ABSs that need to operate differently than the majority of law firms. The DPS systems can be supplied with a large number of ready to use templates for areas such as employment and immigration. 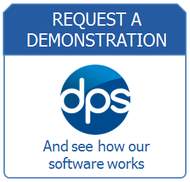 Alternatively DPS can load your own precedents and forms and workflows giving you a bespoke system. These documents can be tailored to a firm’s specific needs meaning a practice can pick up the system and start working straight away giving the firm a fast return on investment. The workflows can be equipped with a set of pre-defined or user-defined rules that can prevent certain users from doing certain tasks without supervision. These rules can also prevent users from starting to process a matter until a key stage (e.g. Money Laundering) has been dealt with. The workflow is flexible enough to allow more experienced users to move from stage to stage whilst those that are less experienced may need authority. A full set of documents and plain paper forms are provided with each system and information from the case is automatically pulled into these documents and paragraphs are selected according to individual circumstances. This means that no letter is standard. This process is completely automated so that whole documents are produced in Word or Adobe using no more than 1 or 2 clicks. If a letter that has been produced needs to be amended, the user can dictate changes directly to the system for transcription by the secretary at a later stage. For users with advanced keyboard skills, changes can be made instantly with no danger of amending the source templates. Users with limited keyboard skills can produce their own documents from start to finish. Letters that have been produced can be emailed, faxed or printed in any combination directly from the system. This is automatically time recorded and filed against the case. Fee earners can use DPS to produce one-off letters. One-off letters include simple ‘head up’ documents or ‘smart assembled’ documents, where the user ticks the options they require to create a personalised tailored document. The user can then dictate against the system and send the standard or assembled document to their secretary for typing. Since part of the document is created prior to dictation, the turnaround time and margin for error is reduced as the transcriber types into the document already provided. Once the work is complete, it is sent to the fee earner for checking and authorisation for printing. Learn more about Team Talk-our digital dictation software. All documents produced by the system are automatically costed, time recorded, tracked and document managed. The workflow process automatically creates and completes tasks, ensuring efficient task management. Any task that arises from the completion of an action will be saved automatically against the appropriate fee earner’s task diary. In addition, any tasks associated with Outlook™ will be added automatically to the task diary. In this way, the system records a full case history complete with reminders of the next step or steps required. DPS is linked with Outlook™ and automatically files any incoming and outgoing emails against the corresponding matter. This facility instantly increases the firm’s billing potential, providing them with an accurate number of emails sent and received and eliminating errors in the number of emails billed. Incoming post can be scanned and attached to cases. The scanned image is sent by email to the appropriate fee earner through Outlook Office/OneOffice and a copy is attached to the file. Our case management software tracks all work completed on the file and puts in anticipated next steps according to the workflow. The fee earner can log into Outlook Office and automatically view what they need to do on any file on that day and any tasks carried over from the previous day. From one screen the fee earner can: view the whole file history; compose emails, write letters or make phone calls; reschedule tasks to another day for another fee earner, and complete tasks. Supervisor users can view tasks for other users and take actions on behalf of them or assign tasks to other users. From a single screen a fee earner can view all the work assigned to them including emails in, letters in and scanned images. Fee earners can also view work already completed by or on behalf of them from the same single screen. Even the fee earner’s postal items can be viewed electronically. When a supervisor comes to review a file, they can view exactly what work has come in for a user in any one day or period of time. The supervisor can also view what work a user has completed or had completed on behalf of them. This information can also form the basis for report creation. Outlook Office can publish information at three levels. Level 1 publishes the milestones of a case together with the next anticipated steps. Level 2 publishes the milestones, next step and case history. Level 3 publishes all information including documents that are held against the case. The practice can choose the level they wish to publish information. Once published, the information can then be viewed by clients, agents or other authorised persons over the internet. The information is published live with no user intervention. There is no internal procedure to follow as the system completes the work automatically according to predefined rules that can be changed by the practice. All our case management systems integrate seamlessly with Financial Director, our legal accounting software to provide a complete office management system for all users within your firm. FD can be added at a later date if required, and enables users to benefit from a single database of case and accounts data, with accurate WIP figures available in both. This integration also eliminates the duplication of data entry and gives fee earners access to the ledger card to input accurate information on the case. The design reduces the time spent on input and checking data on two systems, while ensuring that accounts data is kept fully up-to-date on case files within all systems. See all these features in action during a NO-OBLIGATION demonstration. Request one by clicking on the button below or calling us on 020 8804 1022.